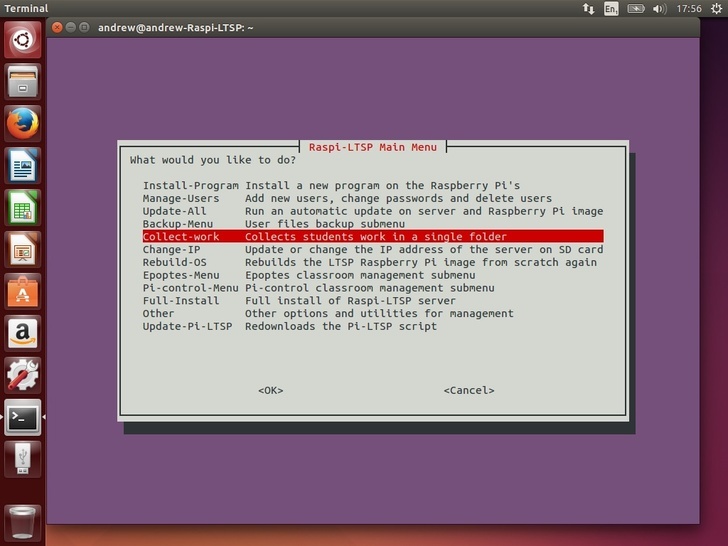 Collecting work from students is simple with Raspi-LTSP. Instead of printing, they can submit work digitally to you! When Raspi-LTSP is installed, this is automatically configured and ready to go. Every student has a folder called “handin” in their user files (/home/UserName/handin). When they are ready to submit a piece of work, they can copy and paste a copy of the work into their handin folder. 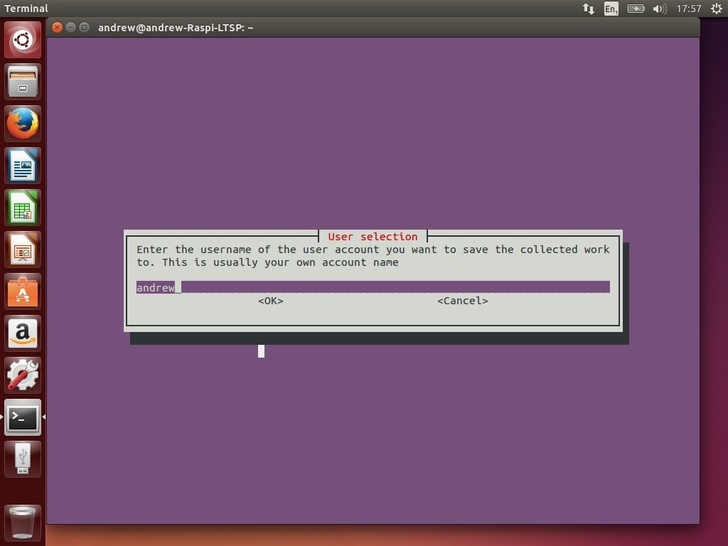 To collect the work, first select Collect-work from the main menu in Raspi-LTSP. Verify the username in the box is your own. If you wish to collect the work and place it in another users home folder, enter their username here instead. Then select ok. If the user entered already has a folder in their home folder called “submitted”, it will be deleted and replace with the new folder. Select yes. The students work is now stored in /home/YourUser/submitted/ under all the students usernames. You can navigate to this folder and check their work.